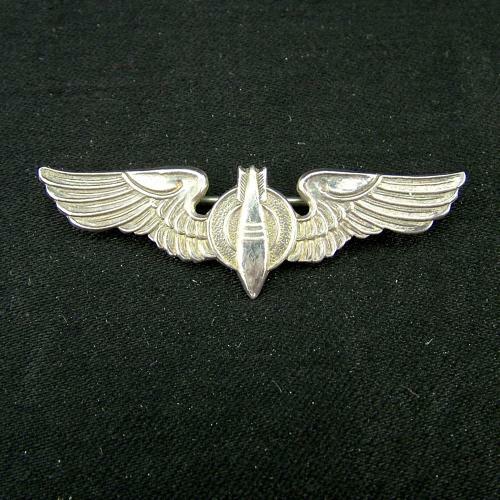 Shirt size bombardier wing cast in 'silver' metal. Approximately 5cm/2" span. Pin backed. Unmarked. Excellent condition. Stock code U16152.